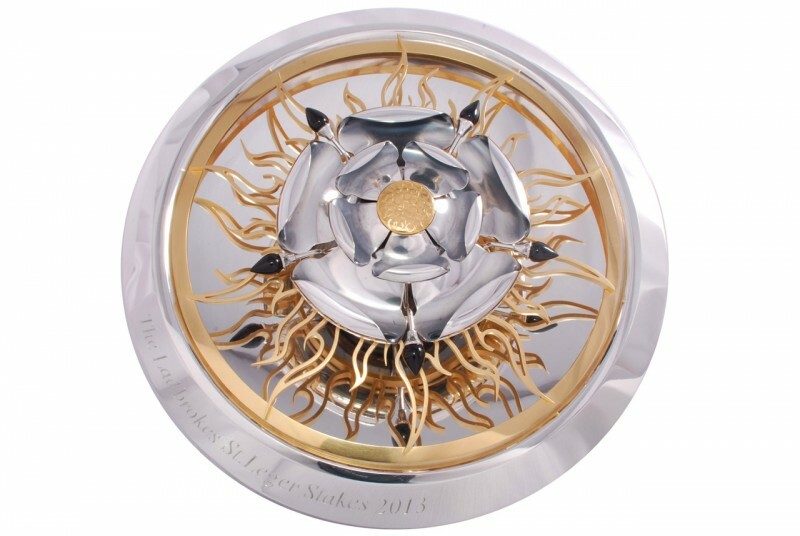 Tooke was honoured to design and make the 2013 Ladbrokes St. Leger Stakes trophy rose bowl this year, and having been surrounded by images of the Yorkshire rose since birth and seeing as how the St. Leger Stakes is so prominent in Yorkshire’s horse racing calendar, he determined that this symbol would be most significant in his design. The black buds between the larger petals Tooke turned from Whitby Jet because it is of Yorkshire. The flames emanating from beneath the Yorkshire rose were chosen in reference to an old Yorkshire flag. 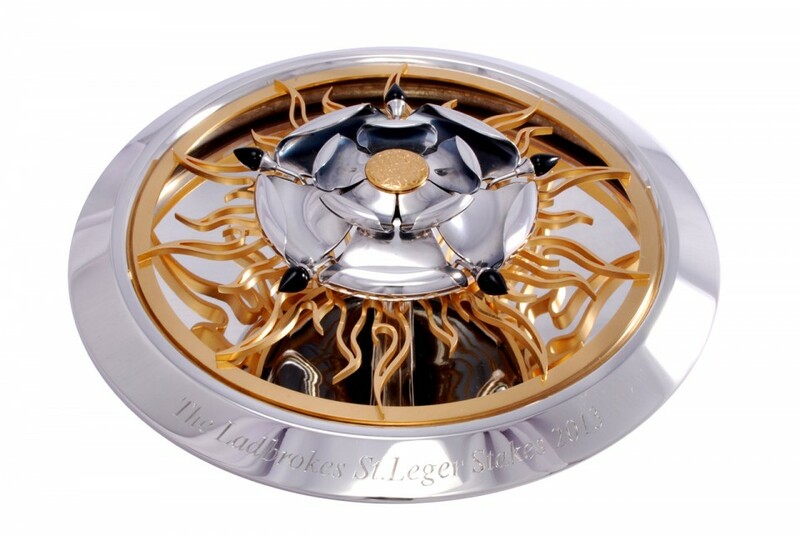 The gilded button in the centre has been struck with horse shoe marks to signify horse racing. Photography by Chris Boland.